The Gyalwang Karmapa concluded the teachings for this 33rd Kagyu Monlam today, continuing his explanation of Geshe Potowa’s Long Soliloquy of Mind Training. In particular, the Karmapa spoke about how to incorporate the dharma into our beings, and how to examine and develop confidence in a spiritual friend. After his explanation of Potowa’s text, the Karmapa gave three reading empowerments. He also discussed plans relating to next year’s Akshobhya retreat—which will be practiced by nuns from the Karma Kagyu nunneries—and for the Torch of True Meaning pre-Monlam teachings on guru yoga. “When you truly remember from your heart that you will die, you will be able to give up on this life. For the first time, you will have laid the genuine foundation for the Dharma… If you do not turn your mind away from this life… you will not be any different from an ordinary person” (Potowa, p.3). Continuing in the text, the next section the Karmapa read and discussed included a description of the lesser, middling and greater types of person. The Karmapa explained that in Potowa’s opinion it is meaningless to talk about people achieving Buddhahood or the level of an arhat, because most people won’t even achieve rebirth as humans or gods. Rebirth in the lower realms is caused by unvirtuous actions, and the Karmapa said it is rare to find people who completely give up unvirtuous activity for fear of rebirth in the lower realms. 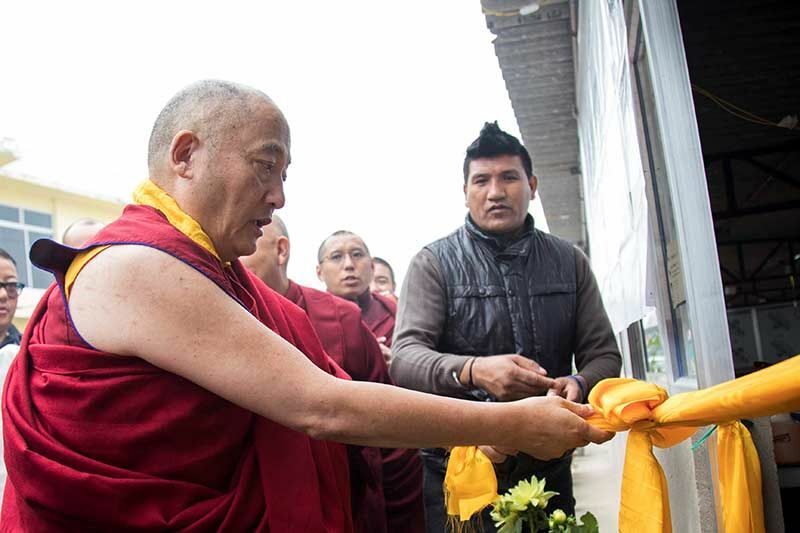 “Even people who say they are upholding the dharma act out many unvirtues,” he said. The Karmapa continued reading from Potowa’s soliloquy. The Karmapa explained that there are two faults here. The first is not understanding that refuge and bodhichitta vows are the basis of the dharma. The second fault is not developing proper faith and confidence in one’s spiritual friend before asking for teachings from them. “In the beginning, what is most important is the lama,” the Karmapa said. And so it is necessary to examine one’s lama carefully before choosing them. The Karmapa said he often thinks people take more interest and care in selecting cell phones and laptops than they do in selecting their guru. 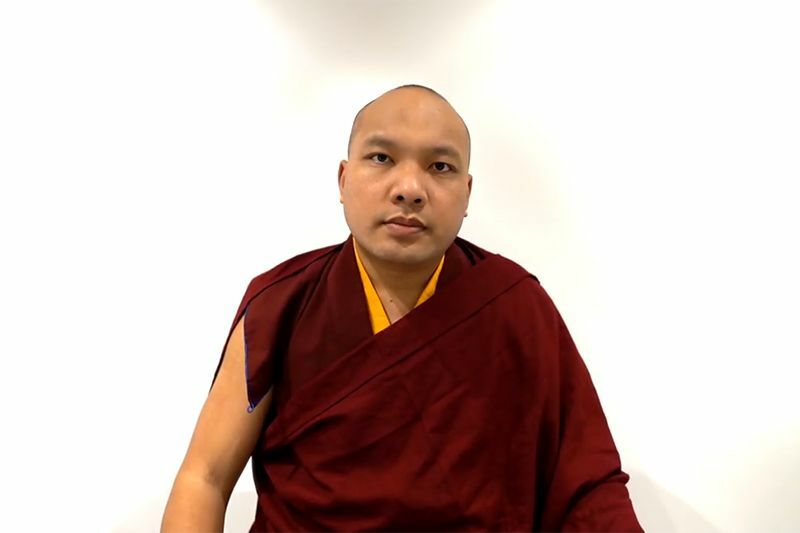 A relationship with a guru is a connection that lasts for this life and all future lives, and so the Karmapa urged us to take great care in making this decision. The Karmapa explained what it means to examine the guru, and how it is the means for developing unshakeable faith and confidence in them. In particular, the Karmapa explained that examining the guru doesn’t mean looking only for their faults, it means looking for their positive qualities. “If we are seeking out their faults we will see problems where there are no faults,” he said. Continuing, the Karmapa said we need to be careful that the dharma isn’t just something we talk about. “Dharma is something we need to incorporate into our own beings, so that the dharma and the individual mix together like combining milk and water,” he said. The Karmapa gave the reading transmission for three texts. First, he gave the reading transmission for the common and uncommon preliminary practices (Ngöndro) in the text he himself compiled Ngöndro for Our Current Day: A Short Ngondro Practice and Instructions (by Ogyen Trinley Dorje, KTD Publications 2010). Next, the Karmapa gave the reading transmission of “The Chariot for Traveling the Noble Path,” the traditional Ngöndro practice practiced in the Karma Kagyu lineage (read from Chinese version of The Torch of True Meaning). The third transmission the Karmapa gave the reading was the Four Session Guru Yoga. The Karmapa described this practice as “a great source of blessing”, and explained that this practice of Four Session Guru Yoga could serve as all daily yidam practices combined if we do it with the recognition that the guru is the embodiment of all the yidams. The Karmapa further explained that only people who have received the empowerment of Chakrasamvara or Vajravarahi should practice it, because you need to visualize yourself as Vajravarahi, and if you have not received the empowerment this is not permissible. However, the Karmapa said it would be allowed if your guru had given you a special blessing and instruction to practice it. 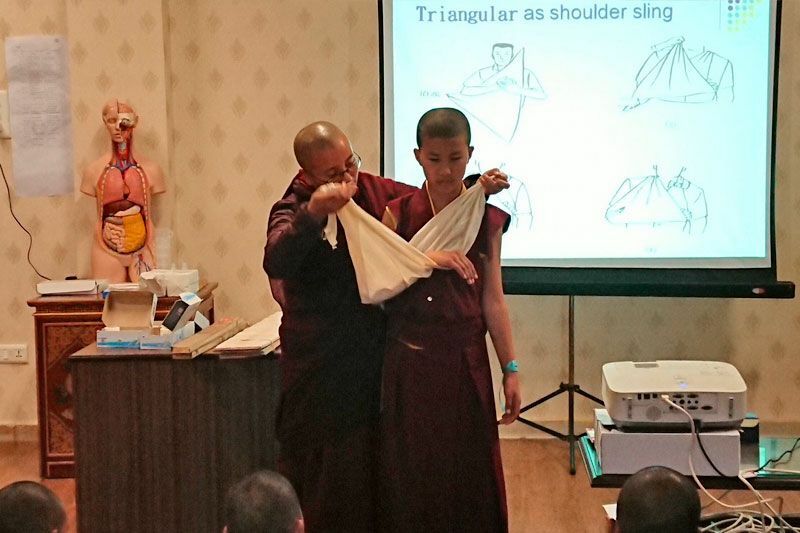 He also explained why these yidams are so important to the Karma Kamtsang lineage. In particular, he explained Chakrasamvara is the primary yidam deity of the Dakpo Kagyu in general, and that for the Karma Kamtsang, the yidam Vajravarahi is the primary yidam deity. Furthermore, the Karmapa explained that because the blessings of the lineage come through these two practices, Vajravarahi and Chakrasamvara, it is important that the empowerments are only given to certain advanced practitioners. However, the Karmapa said the empowerment for yab Chakrasamvara alone does not need to be as strict as the empowerment for Vajravarahi. To do the practice of Four Session Guru Yoga, for Chakrasamvara, the Karmapa explained, receiving only the vase empowerment would be sufficient, and he is considering giving this empowerment at the 34th Kagyu Monlam. Next year’s teaching will be on the Guru Yoga section of Torch of True Meaning, and His Holiness thought the Four Session Guru Yoga would be an appropriate practice. He explained that from the time of the 10th Karmapa onward in the great encampment there was a thangkha of the Four Session Guru Yoga that came from a pure vision of Tai Situpa Chökyi Gyaltsen. This thangkha is now quite rare, and the Karmapa said he is thinking of painting one. He said there is also set of instructions on the Four Session Guru Yoga, which he is hoping to publish next year. Before closing with prayers, the Karmapa also announced plans relating to next year’s Akshobhya retreat. 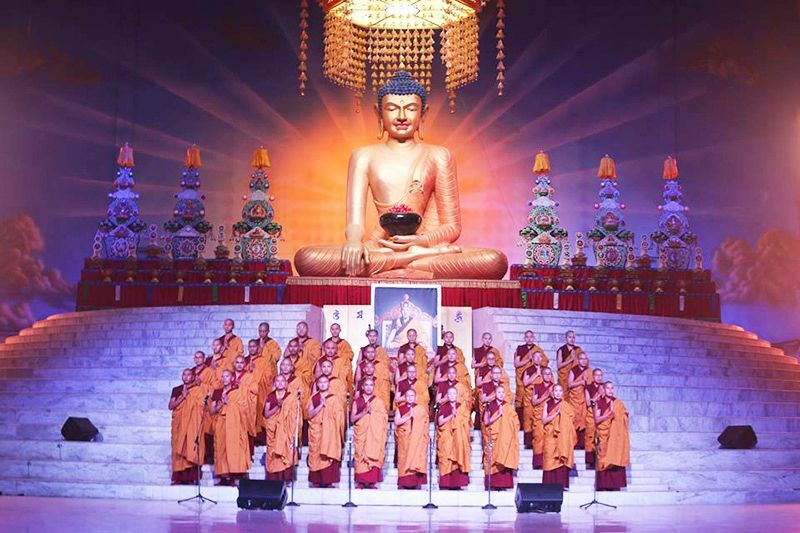 The Karmapa said that he noticed during the Ganachakra that there were quite a few nuns present. 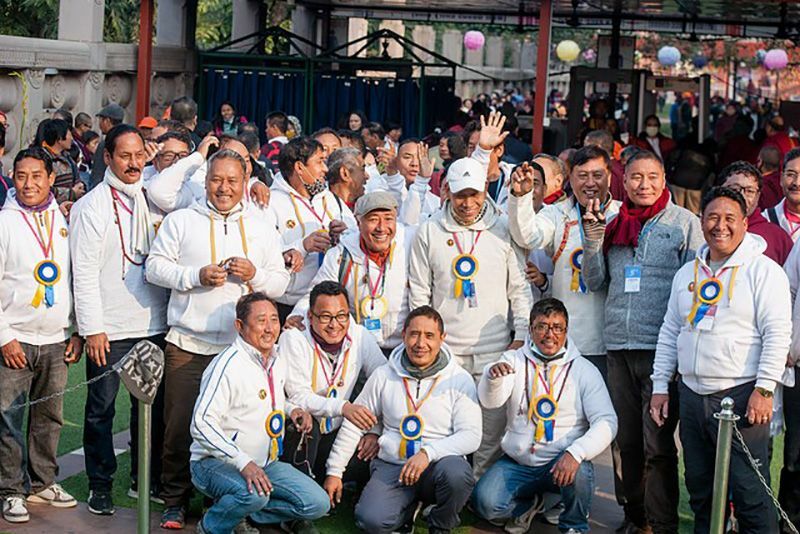 Consequently, next year he would like to give the opportunity for five nuns from each of the eight Karma Kagyu nunneries to participate in the two-month Akshobhya retreat. To select nuns in the fairest way possible, the Karmapa asked the nunneries to draw lots and give him the names the next day.